This post is sponsored by Kellogg’s. Thank you for inspiring us! Chicken and waffles is one of those combos that sounds cray cray, until you try it and then you’re like, OH YES I GET IT NOW, GIVE ME MORE. 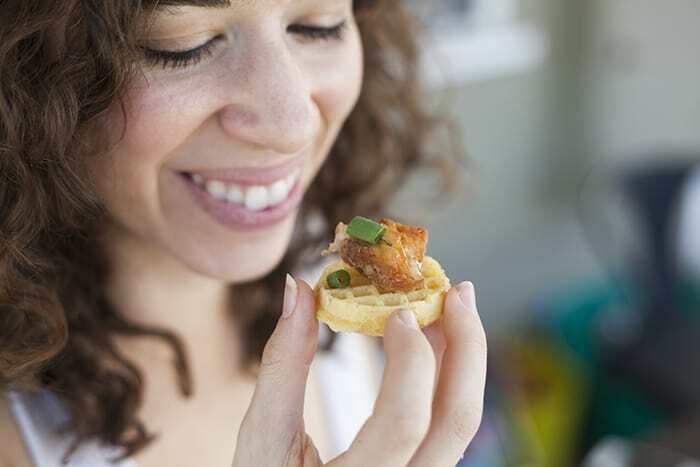 Here in Los Angeles we love our Roscoe’s House of Chicken and Waffles, so this is one combo I’ve long felt deep affection for….and now Colleen loves it too. So when Kellogg’s asked me to create a recipe based on one of their Team Kellogg’s athletes’ tips for a great start, I decided to choose Tip #7: perfectly paired snack recipes from ice dancing partners Meryl Davis and Charlie White. 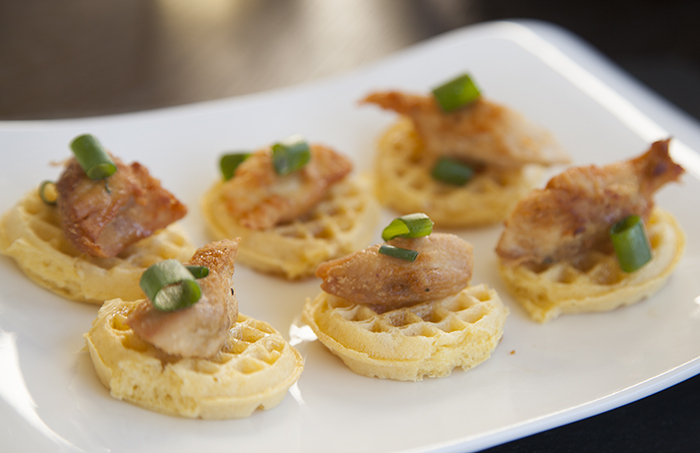 What could be more perfectly paired than delicious savory chicken and maple-syrup drizzled Eggo Minis waffles? This is the easiest thing ever. I just used leftover chicken that I had pan-roasted the previous evening. I coated each piece in a bit of flour, then browned it in peanut oil on the stove. 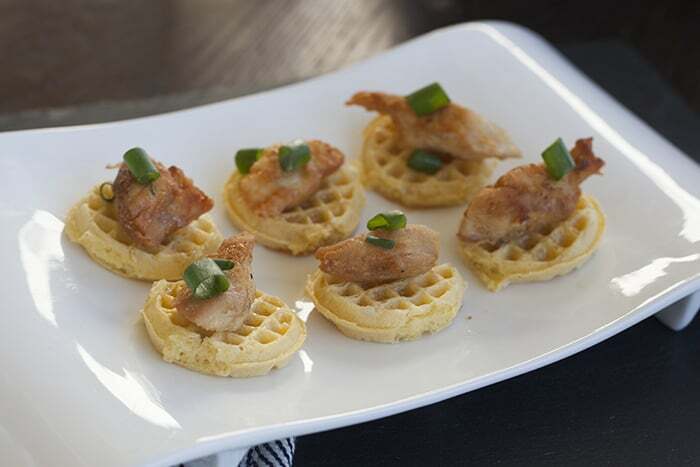 Place a piece of chicken on top of a toasted Eggo mini, drizzle with maple syrup, and garnish with a little something green (I went with a few slices of scallion on each). So easy, and these were so fun to eat with my family. This post is sponsored by Kellogg’s. 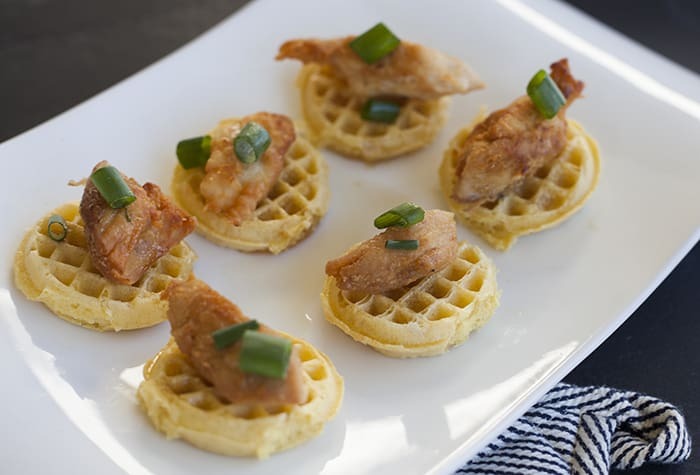 Thank you for inspiring me to make chicken and waffles for my kid. It was serious fun. Looks good. I’ll have to try it! This looks so ridiculously amazing! That would be such a great addition to a breakfast/brunch. You’ve to check out the formula, the delivery, the caliber of the elements and so forth.